AEG has a simple but powerful design philosophy: "Perfeckt in Form und Funktion". The desire to create not only the most functional cooking, home and laundry care appliances, but also the most aesthetically appealing ones. Chaos has worked with AEG to put this philosophy into practice across brochure and sales literature and created a distinctive marketing comms styling. 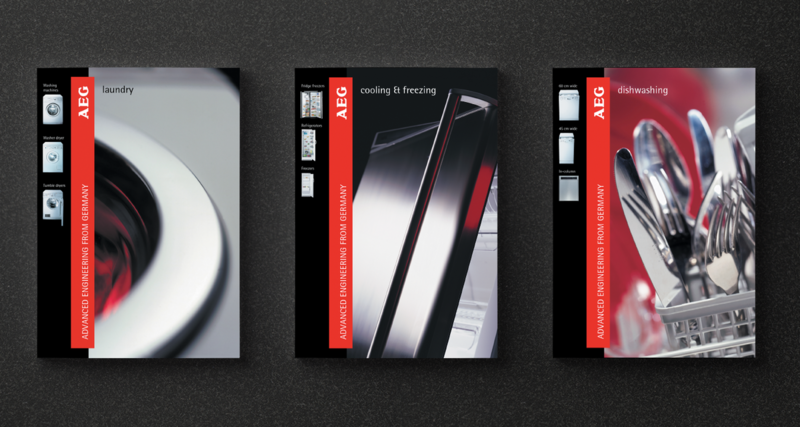 Chaos was appointed to completely overhaul the sales brochures and catalogues for AEG. Creating a new literature hierarchy and design system, we introduced strong graphic branding, unashamedly using bold black, silvers and red to pace the brochures along with new and distinctive original photography and art direction. 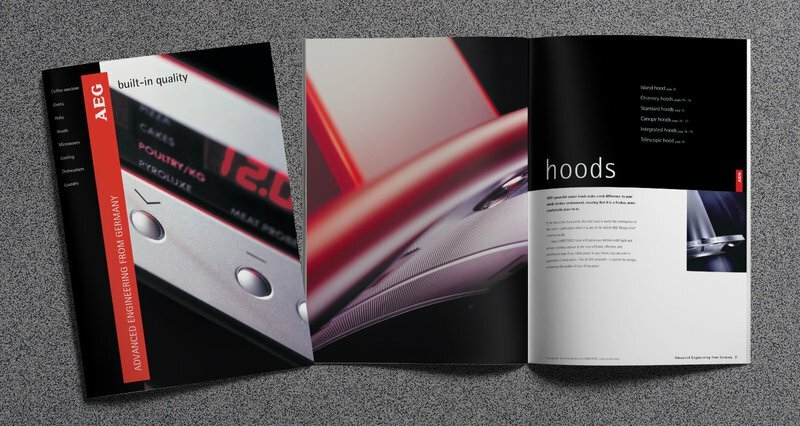 Showing is certainly better than telling in sales conversations or download enquiries, and short of a factory or showroom visit, company brochures still make a great presentation sales tool, they are taken home where it serves as a constant reminder and reference point. Long live the brochure that's perfect in form and function.